Much less wind and drier conditions arrived with the dawn so we headed out after doing some laundry and other necessities. The skies got bluer and clearer as we moved south so we decided to take another diversion out to Cape Anguille, which is just north and west of or ultimate destination. 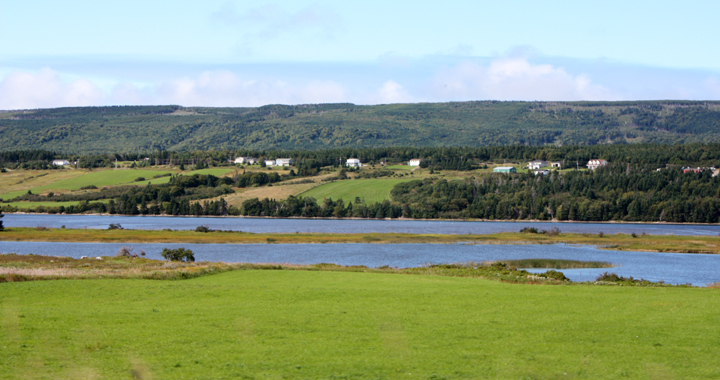 This drive took us through the beautiful Codroy Valley with rolling hills surrounding another huge bay. We stopped for lunch along the shore and Al proclaimed, “I have never seen water more royal blue.” It was pretty. Roadside curiosity. Think this guy has too much time on his hands during the long winters here? 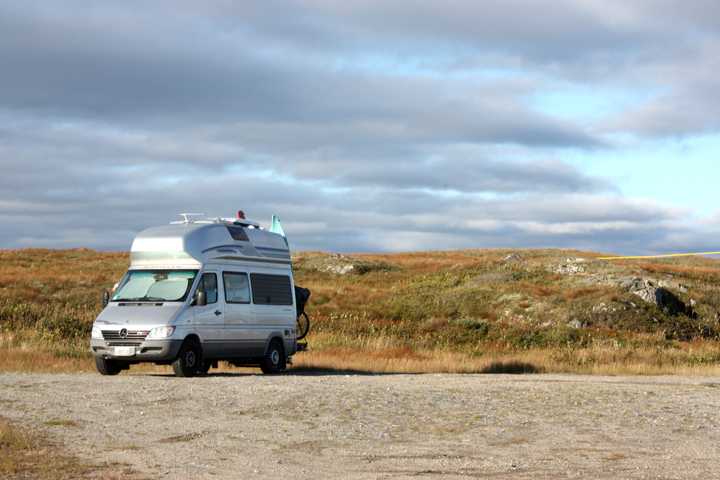 We returned to Highway 1 bound for Port aux Basque, which we took a quick tour of. 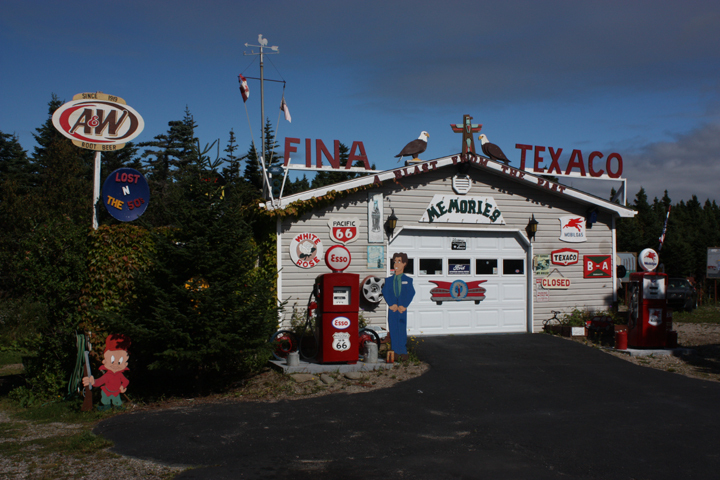 Since it was less than inspiring we headed further along the coast on Route 470 to the smaller coastal town of Margaree where we parked next to a church with stunning views nearly all around us. The ocean was on one side and expansive fields and distant mountains on the other.